The Washington Post reports that Assistant Secretary of State for European and Eurasian Affairs Wess Mitchell will resign next month, citing personal reasons. 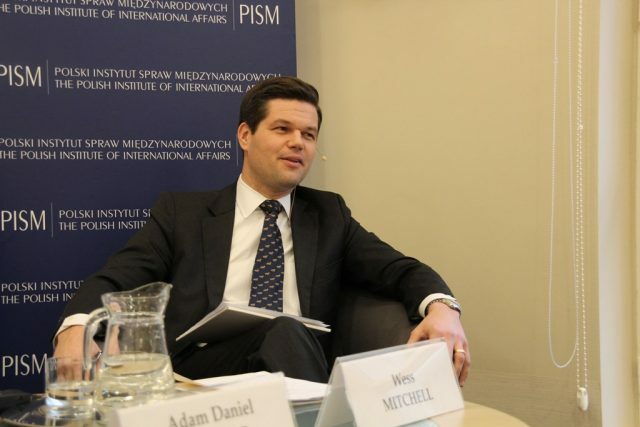 Mitchell, co-founder of the Center for European Policy Analysis (CEPA), was confirmed by the US Senate as the Assistant Secretary of State for European and Eurasian Affairs on July 20, 2017, replacing Victoria Nuland. The Assistant Secretary of State for European and Eurasian Affairs is the highest State Department official overseeing US diplomacy in the Balkans. Mitchell’s departure will leave a serious gap in US foreign policy in the region, now that also the US Ambassadorship is vacant. Earlier this month, the Senate returned US President Donald Trump’s nominee Kathleen Ann Kavalec, over doubt about her involved in the preparation of the Christopher Steele dossier.